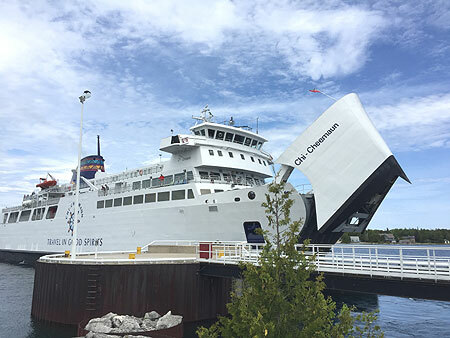 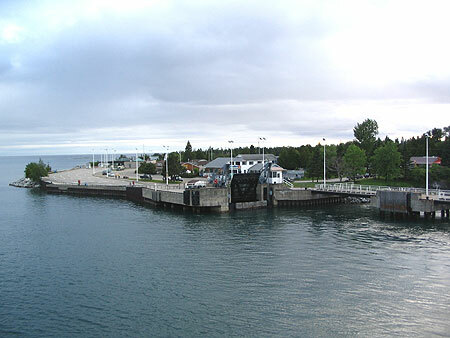 The MS Chi-Cheemaun is a passenger and car ferry, connecting Tobermory and South Baymouth on Manitoulin Island. 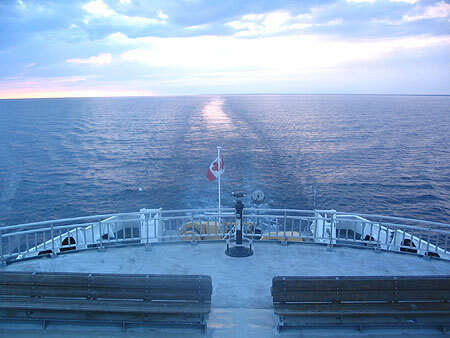 The distance is about 40 km (25 miles) and it takes about 1hour and 45 minutes to cross over. 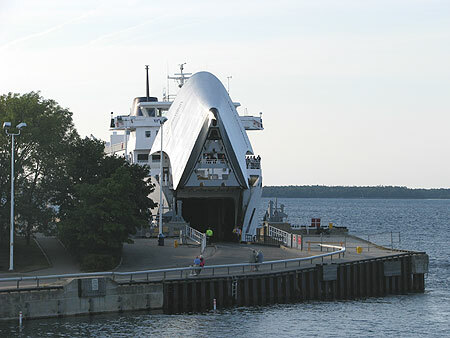 "Chi-Cheemaun" means big canoe" in the Ojibew language.